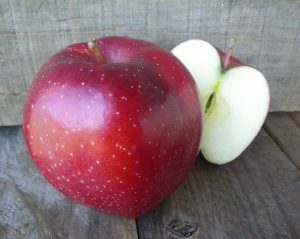 What do the Cincinnati Reds and Farrah Fawcett’s hair have in common with the Red Delicious apple? That’s right. They all peaked in the 1970’s. So pop in your England Dan and John Ford Coley 8-track and kick back with a crisp, sweet Red Delicious. Relive your glory days. You’re welcome. Pro tip: Some orchards grow heirloom apples; we prefer to grow retro apples. Don’t dis them until you try a fresh one.